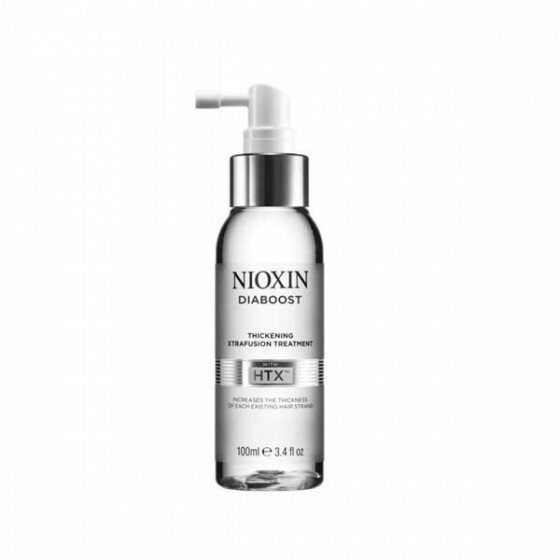 Nioxin Diaboost is an exiting new leave-in treatment especially designed to increase the diameter of each hair strand, giving a fuller looking head of hair. Diaboost penetrates the hair and makes it more manageable, imparting body and strengthening each hairs resilience against breakage. DIABOOST\'s revolutionary HTX complex includes ingredients with proven results in skin care, such as Caffeine, Panthenol and Niacinamide.